The 5G WiFi ecosystem just continues to grow, as D-Link today became the latest company to offer a product equipped with Broadcom’s 5G WiFi technology. Called the Cloud Router 5700 (DIR-865L), D-Link’s product uses 802.11ac technology (5G WiFi) to deliver wireless speeds of up to 1,750 Mbps – three times faster than the previous generation of Wi-Fi, 802.11n. The differentiation comes not only from gigabit speeds but also higher capacity and broader coverage for home networks – features that are enhancing the adoption of high-bandwidth gaming and HD streaming applications. 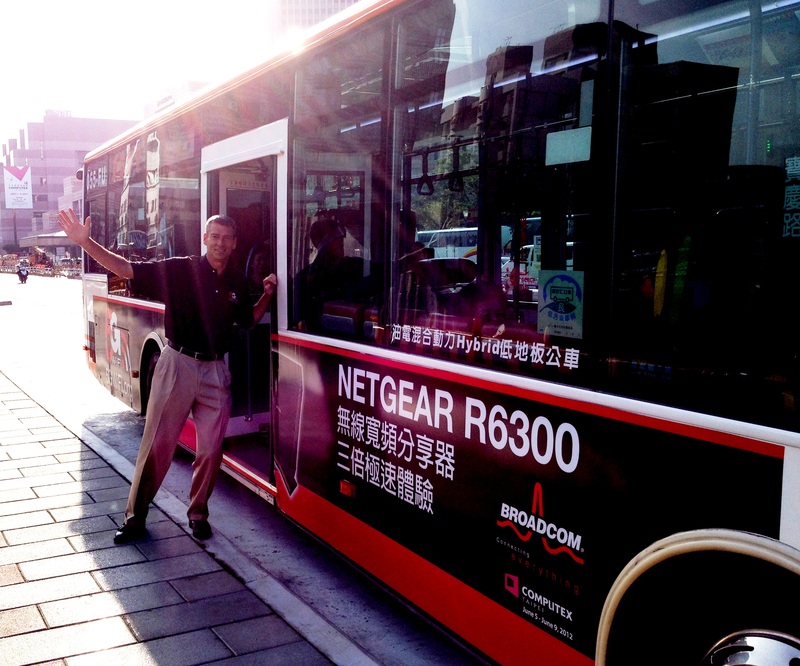 Broadcom has been leading the market adoption of 802.11ac by being first to sample and ship the technology. It’s focused on enabling the 5G WiFi ecosystem across all major wireless product segments, including routers and mobile devices. D-Link is the latest company to further enable this transition to faster, more reliable wireless coverage for HD-quality video streaming and near instantaneous data synch. How fast is Broadcom’s 5G WiFi and what does it enable? Check out the fun video below for a sampling of its speed and click through the interactive graphic for more detailed look at its capabilities. R&D Magazine has named Broadcom’s 5G WiFi family of chips among the 2012 R&D 100 award winners, naming the innovation one of the 100 most technologically significant products of the last year. Broadcom’s 5G WiFi SoCs were introduced in January at CES, based on the 802.11ac IEEE standard. They were designed to replace the aging 802.11n technology and satisfy the demand for faster, more reliable Wi-Fi in the hyper-connected age of tablets, smartphones and the connected home. Since then, the technology has been launched by a number of partners, including Netgear, Buffalo Technology, Asus and Belkin, which showcased the technology at a Connected Home event in New York City this week. 5G WiFi delivers up to gigabit speeds of connectivity with six times more power efficiency than the previous generation of Wi-Fi. It operates on a different spectrum than 802.11n, increasing signal range and passing through more obstacles to overcome some of those dreaded “deadspots.” It was designed with the modern multi-tasker and family home in mind, able to connect several devices and enable multiple video streams at once, without pauses for buffering. Broadcom’s 5G WiFi chip family is in excellent company on R&D Magazine’s list alongside innovations such as energy technologies from NASA and a laser and photonic development from a laboratory at MIT. The award is celebrating its 50th anniversary and honors products from a range of disciplines including telecom, physics, software, manufacturing and biotech developed by companies, universities, research firms and government labs. In the tech industry, five years can be an eternity. The iPhone hit retail shelves in June 2007 — five years ago this month. That same year, 802.11n — the fourth-generation of Wi-Fi technology — was introduced as a wireless technology that would meet the new consumer demands for medium-resolution video, such as those found on YouTube, a then two-year-old start-up that had just been acquired by Google. Today, smartphone shipments around the globe are up more than 600 percent since those long ago days of 2007. Tablet PCs such as the iPad, which weren’t even on the consumer radar five years ago, have reached mainstream penetration. Nearly 73 million tablets were shipped worldwide in 2011, according to research firm NPD DisplaySearch. Now, things like Internet-connected gaming consoles, set-top boxes and TVs are joining the Wi-Fi ecosystem. 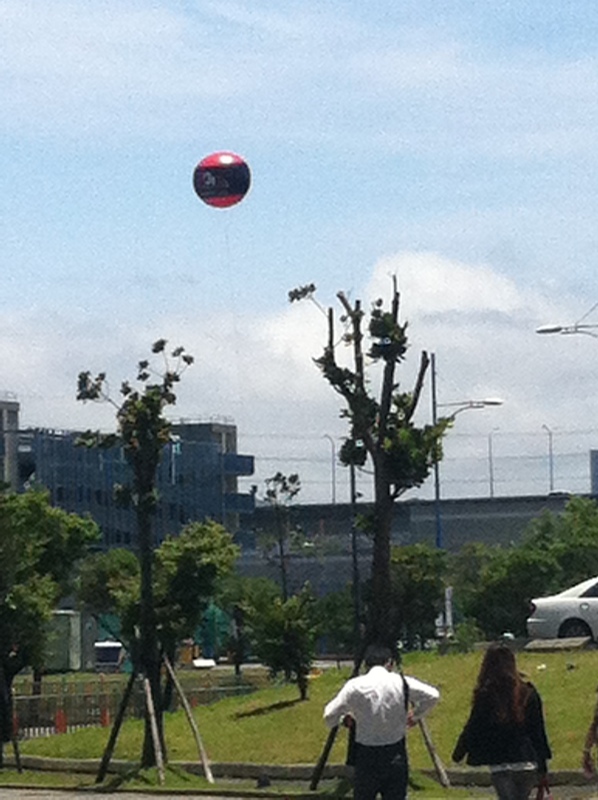 Certainly, the architects of 802.11n did not design the technology with this sort of usage in-mind. Just as the second generation of Wi-Fi, designed for emailing, was succeeded by a third generation built to support a data rich Web surfing experience, the evolution of Wi-Fi continues today with the arrival of 802.11ac, or 5G WiFi. 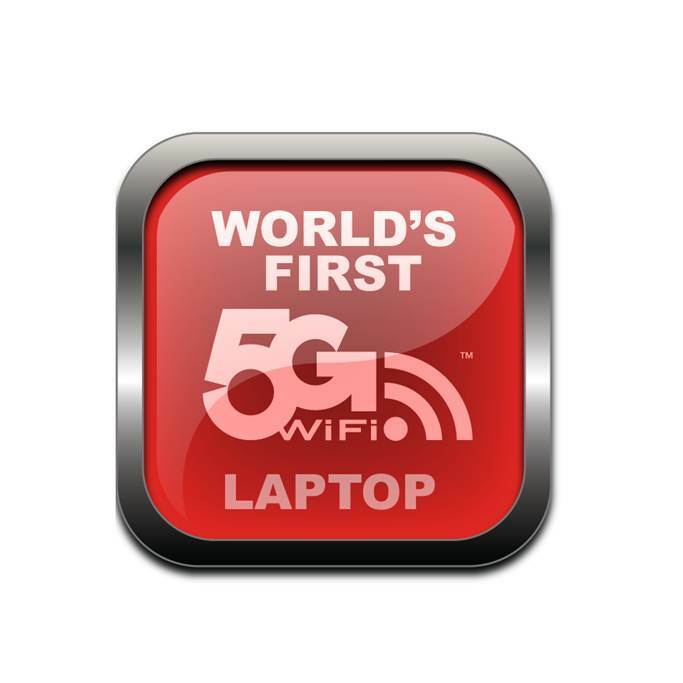 Broadcom kick-started the 5G WiFi movement with the announcement of 802.11ac chipsets at the 2012 Consumer Electronics Show, introducing the first steps in building a more robust and reliable wireless pipeline. While 5G WiFi is designed to meet the needs of today’s consumers and their computing lifestyles, the engineers have also looked ahead at the other uses that 5G WiFi is poised to accelerate. Consider that 5G WiFi works on a spectrum that’s different from its predecessor and uses beam-forming and other innovations to penetrate all forms of building materials, including concrete. 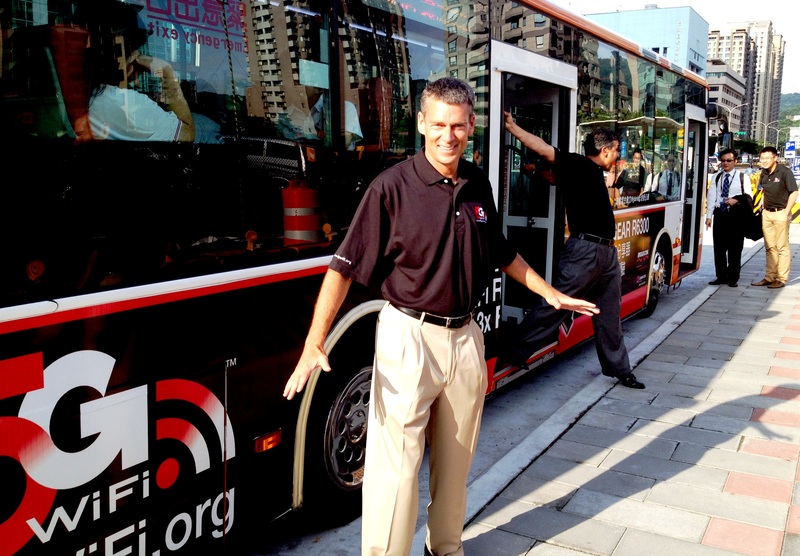 It’s a shift that will help eliminate so-called “deadspots” in a Wi-Fi network. 5G WiFi is at the center of a movement called “The Internet of Things,” the idea that non-computing devices, such as home appliances or medical devices, can be networked to interact with smartphones, tablets and even hospital computer systems to provide convenience, energy efficiency and advanced health care services. 5G WiFi is the needed link to a fully networked television experience, one where content from a variety of sources — online providers, as well as pay-TV operators — can be seamlessly transferred from one screen, such as a TV, to another screen, such as a smartphone. 5G WiFi is considered to be one of the technologies that will help video chat and conferencing services to gain traction among mainstream users. 5G WiFi could be the savior to mobile carriers whose networks are becoming overloaded by data-hungry devices. 5G WiFi’s greater capacity for offloading data traffic provides the capabilities for many more simultaneous connections, offering a better user experience. 5G WiFi chips, which will transfer files faster than previous wireless chips, are considered to be up to six times more power efficient. That means mobile phones, for example, will be able to go longer between battery rechargings while still handling more cumbersome tasks. 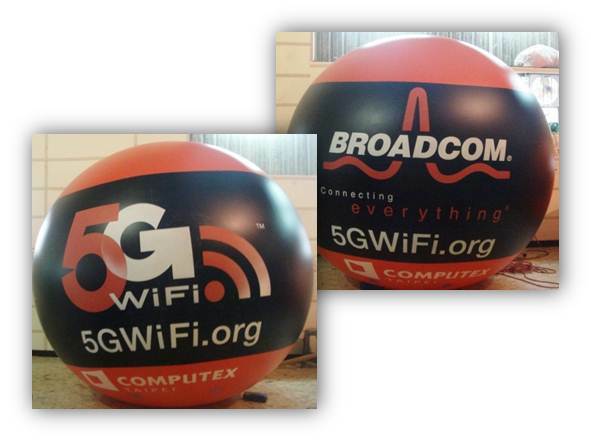 While Broadcom initially forecast the arrival of 5G WiFi-powered products for summer 2012, its partners — excited about the prospects of next-generation Wi-Fi services — jump-started the efforts with announcements of routers and other retail products in the spring months. The race is on to implement the fastest Wi-Fi yet. 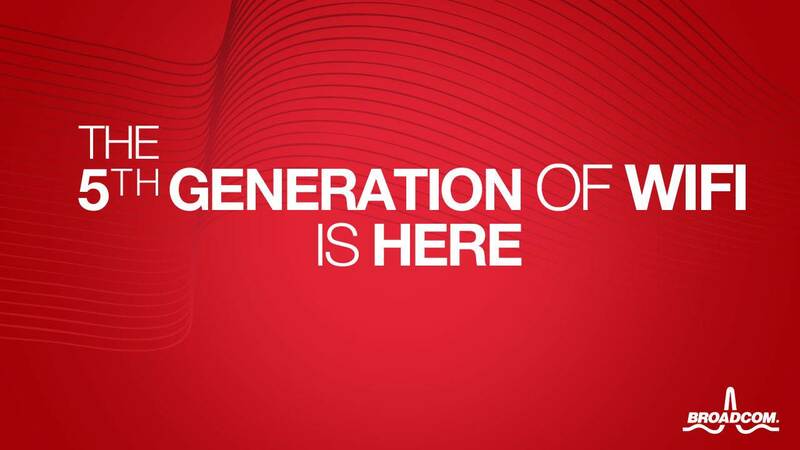 Since that CES announcement, Broadcom has continued to innovate and expand the potential reach of 5G WiFi, including the February launch of a 5G WiFi system-on-chip (SoC) designed to address growing demand for gigabit speeds in enterprise, wireless cloud networks and carrier access. 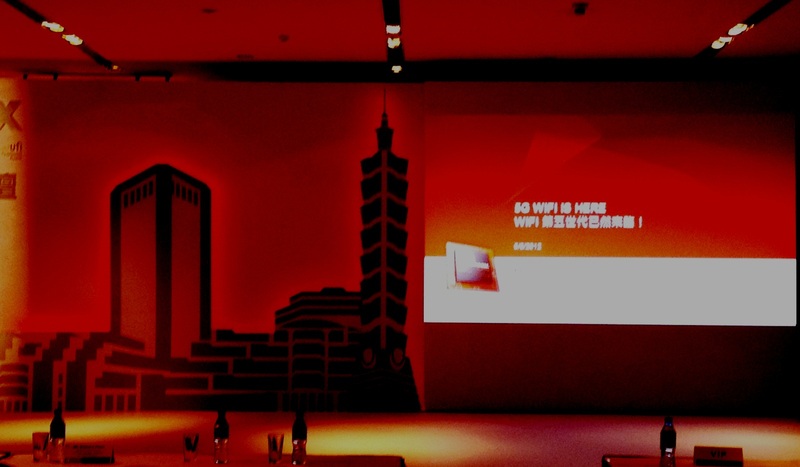 At the Computex show in Taiwan earlier this month, Broadcom introduced new, highly integrated SoCs designed to unlock the full potential of 5G WiFi networking for home gateways and SMB access points, network attached storage (NAS) boxes and other devices. Broadcom’s new SoCs allow device makers to bring 5G WiFi routers, gateways and access points to market with full features and performance at price points that will ignite the growth of the developing 5G WiFi ecosystem. With these new chips already sampling to Broadcom’s customers, the next generation of Wi-Fi featuring gigabit speeds is well on its way! 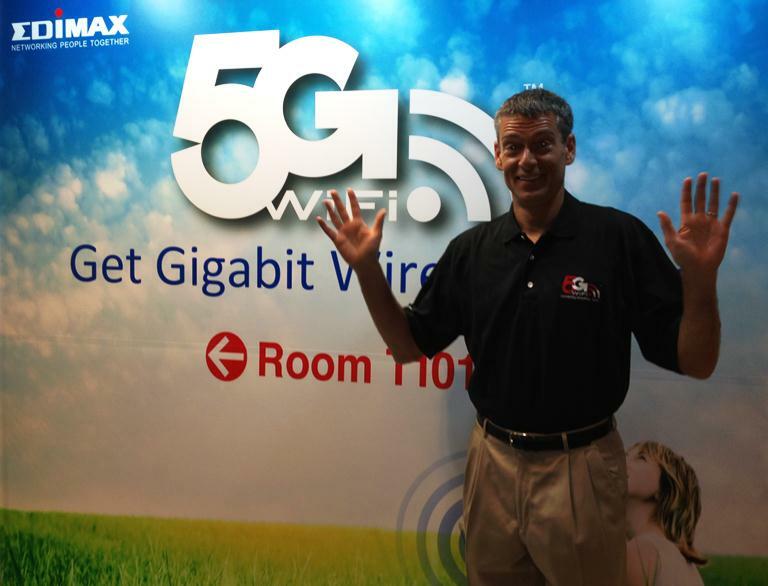 Watch Dino Bekis, Broadcom Senior Director talking to the 5G WiFi devices in the market today. Engadget has a 5G WiFi hands-on video including a first look at the ASUS ecosystem from the Broadcom booth @ Computex. See it, believe it, buy it! At COMPUTEX, ASUS introduced an entire ecosystem of products using 5th generation Wi-Fi (5G WiFi) based on the 802.11ac standard. The new products, which include the RT-AC66U Wireless Router , the G75VW gaming laptop PC and the P8Z77-V series motherboard, feature Broadcom (NASDAQ: BRCM) 5G WiFi chips which deliver Ethernet-quality speeds three times faster and with six times the power efficiency of previous generations of Wi-Fi devices. The ASUS RT-AC66U Gigabit wireless dual-band router is one of the first in the world to offer 802.11ac Wi-Fi, combining 2.4GHz/5GHz bands for a 1.75Gbps bandwidth. Its USB integration allows it to easily act as a multi-role device with server capabilities. ASUS PCE-AC66 and USB-AC53 client devices provide 802.11ac compatibility to various devices using PCI Express and USB interfaces, respectively. Featuring Intel® 3rd generation Core™ i7 processors and the latest NVIDIA® GeForce® GTX 660M/670M GPUs with up to 3GB of GDDR5 VRAM, up to 16GB of DDR3 DRAM and support for dual hard drives in RAID 0/1, the G75 redefines what is possible with a gaming notebook. The dual-fan intelligent thermal mechanism ensures the system runs cooler, for longer, forcing the competition into submission. Active shutter glasses with NVIDIA 3D LightBoost™ technology on a Full HD screen, a built-in subwoofer and ASUS SonicMaster Lite audio further enhance the gaming experience. The ease of deployment of low-cost wireless networks has brought a massive increase in the number of devices using wireless connectivity. As the performance of these devices improves, greater demand is being placed on networks for video and other high-bandwidth applications. This puts tremendous stress on legacy 802.11a/b/g/n networks, resulting in noticeably deteriorated performance, choppy videos and slower load times. 5G WiFi dramatically improves home wireless range, providing faster video streaming, the ability to connect multiple devices to the network simultaneously, broader coverage, and longer battery life. 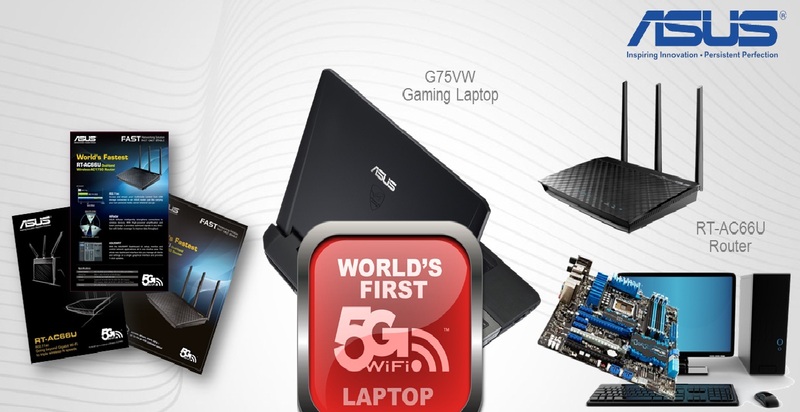 By incorporating 5G WiFi into its new access point, PC and motherboard, ASUS is one of the first companies to introduce an ecosystem of products that will deliver the benefits of 5G WiFi and further propel the this next wave of wireless innovation. ASUS, the Taiwan-based maker of PCs, laptops, mobile phones and servers, rolled out several new products at COMPUTEX today, including a new dual-band, Gigabit router featuring 5th generation WiFi (5G WiFi) technology, enabling wireless speeds up to three times faster than existing routers. The new ASUS RT-AC66U router uses combined 2.4GHz/5GHz bandwidths, coupled with exclusive ASUS AiRadar signal amplification and shaping technology, to achieve 1.75 Gigabits per second – a massive data rate increase that makes it an excellent choice for demanding online applications. 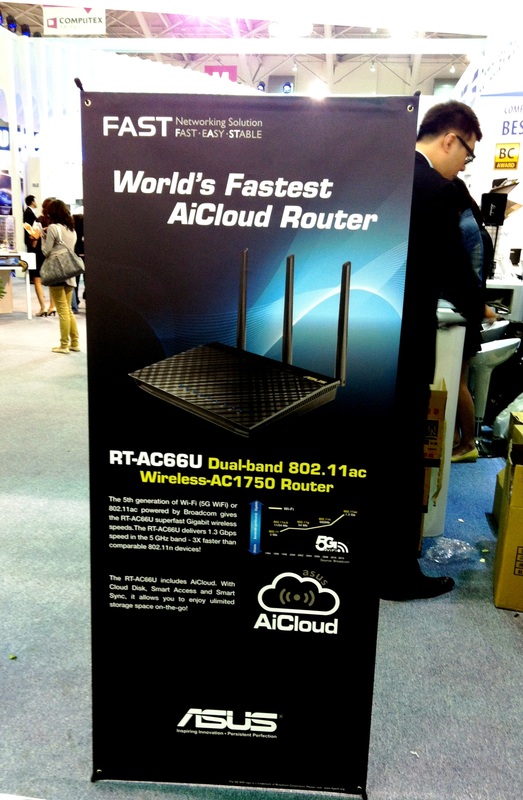 One of the world’s first dual-band wireless routers to support the advanced 802.11ac wireless protocol, and among the first to achieve Gigabit wireless speeds, the RT-AC66U maintains the ASUS tradition of networking excellence established by previous ASUS high speed routers. It allows for easy and fast setup in just three steps with the ASUSWRT dashboard, and upholds strict QoS standards for the most reliable networking and download multitasking available. With QoS, the RT-AC66U has better bandwidth optimization and offers Download Master capabilities, which mean fast background downloading even post-shutdown. Up to eight SSIDs are supported, so users can easily setup distinct networks with different access privileges and levels of security without having to compromise passwords. The RT-AC66U supports the new IPv6 standard for better packet transmission and addressing. With its twin USB ports, the RT-AC66U becomes a true multi-role device. Attaching a 3G dongle allows it to share 3G connections among several users on different devices, while full DLNA compatibility affords smooth connectivity with a variety of entertainment platforms, including game consoles, Blu-ray players, smart TVs, and set-top boxes. The RT-AC66U can also serve as a dedicated FTP server and printer server, letting users share resources for greater productivity while reducing costs as there is no need to buy standalone server hardware. 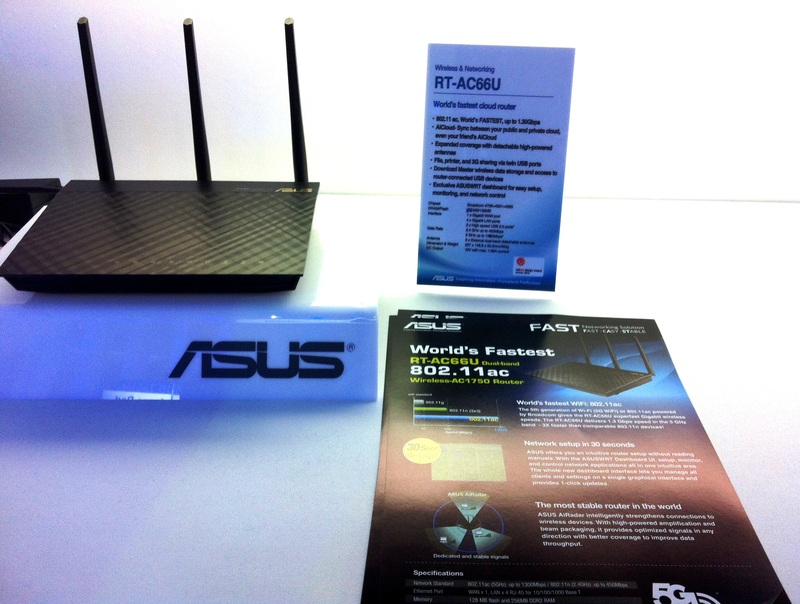 In addition to the RT-AC66U router, ASUS has also released the PCE-AC66 and USB-AC53 clients, both 5G WiFi capable. The dual-band PCE-AC66 offers a PCI Express client card for desktops, with 3 x 3 high-powered transmission. It can sustain 1.3Gbps in 5GHz and up to 450Mbps in the 2.4GHz band. For easy USB upgrades to 802.11ac, the USB-AC53 compact dongle plugs into any USB port, with 2 x 2 802.11ac. In 5GHz, the attachment can maintain 867Mbps, while in 2.4GHz it works at 300Mbps, achieving a total throughput of around 1.3Gbps. The PCE-AC66 and USB-AC53 are enabled by Broadcom’s 5G WiFi chips, and demonstrate ASUS technology leadership in bringing an 802.11ac ecosystem to consumers.